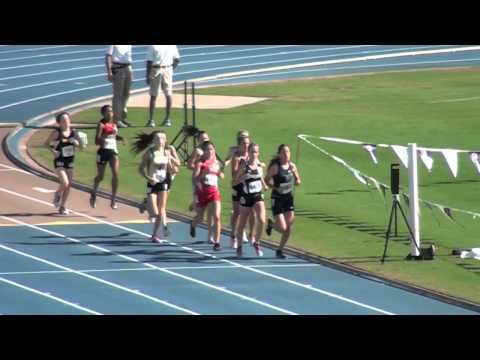 Chiles senior Lily Williams continued her incredible 2012 with a state leading time of 4:47 to win the 1600 meters at the Pepsi Florida Relays. 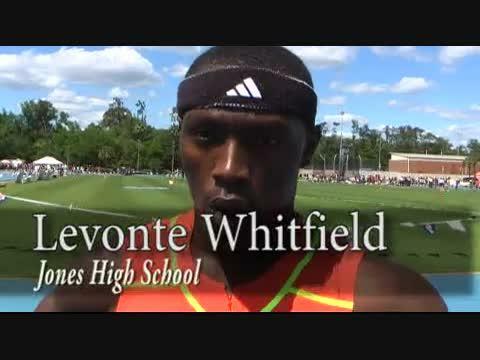 Jones junior Levonte Whitfield won the 100 meters at the Pepsi Florida Relays. 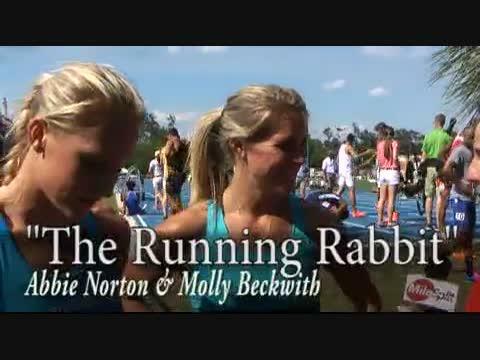 As the holiday season and Easter rolls around we wanted to talk to a rabbit in the running world. 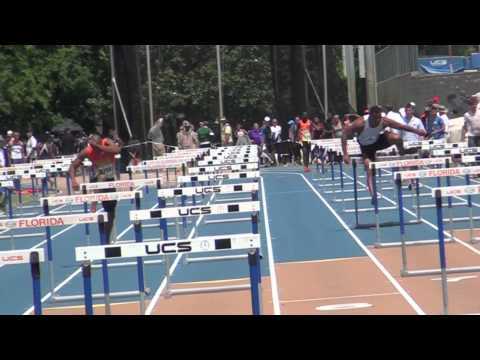 Plantation American Heritage junior Walter Tucker won the 110 hurdles at the Pepsi Florida Relays. 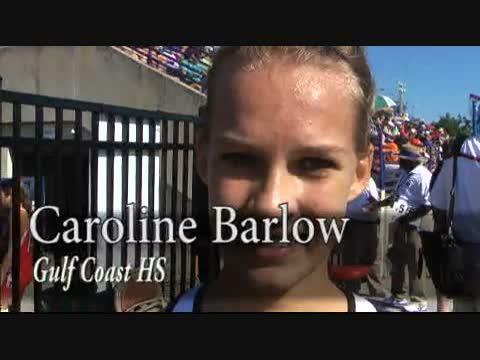 Gulf Coast sophomore Caroline Barlow won the girls open 1600 meters at the Pepsi Florida Relays. 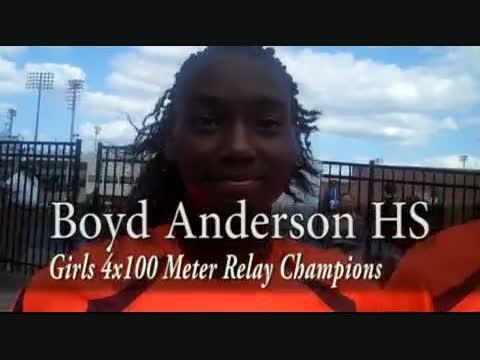 Boyd Anderson girls won the 4x100 meter relay at the Pepsi Florida Relays. 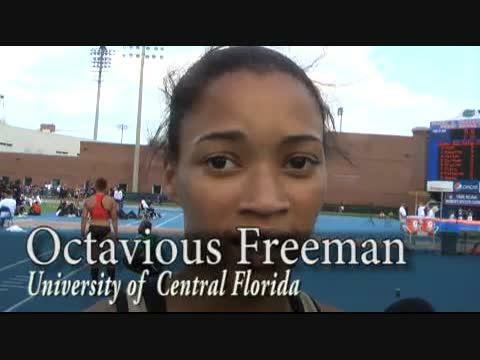 UCF freshman phenom Octavious Freeman beat a field of professional runners at the Pepsi Florida Relays en route to a world leading 100 meter time of 11.10. 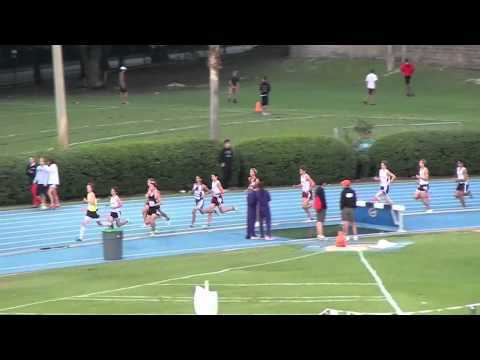 Check out highlights of the boy 4x1600 meter relay at the Pepsi Florida Relays. 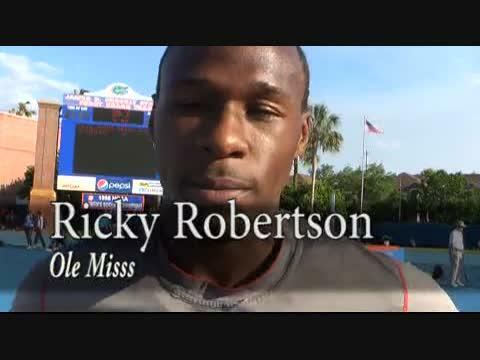 Ole Miss high jumper Ricky Robertson set a new world leading mark outdoors of 7-07.25 or 2.32 meters a the Pepsi Florida Relays. American Heritage 7th grader Daesha Rogers won the 800 meters in a nation leading time of 2:09 and change at the Pepsi Florida Relays. 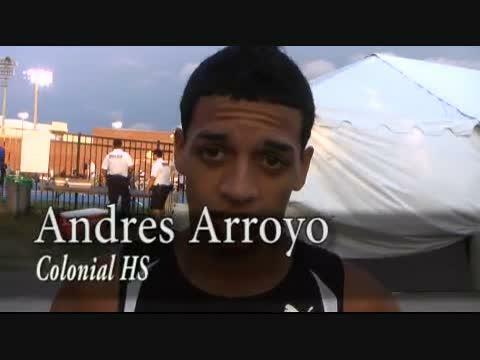 Colonial junior Andres Arroyo continued his streak of incredible performances by winning the 800m at the Pepsi Florida Relays in a state leading time of 1:51.09. Dr. Phillips senior A.J. 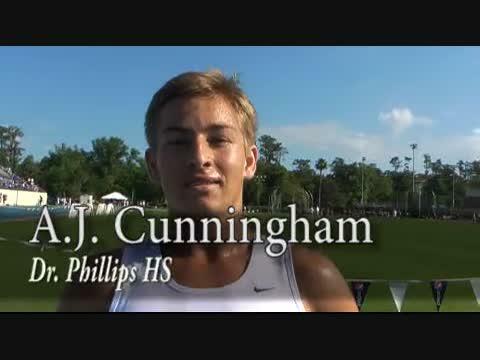 Cunningham won the boys open 3200 meter run at the Pepsi Florida Relays. 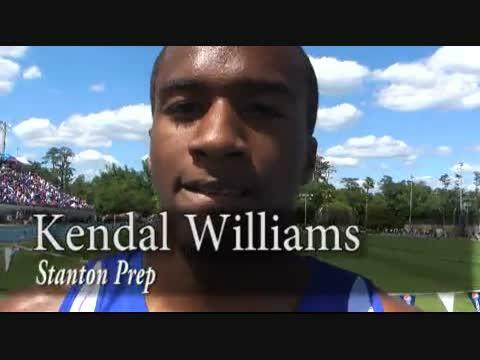 Stanton Prep sophomore Kendal Williams finished second in the 100 meter dash at the Pepsi Florida Relays. 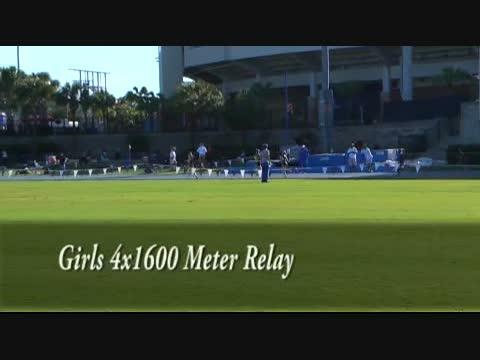 Check out highlights of the girls 4x1600 meter relay which was dominated by Saratoga Springs of New York in a new meet record time. 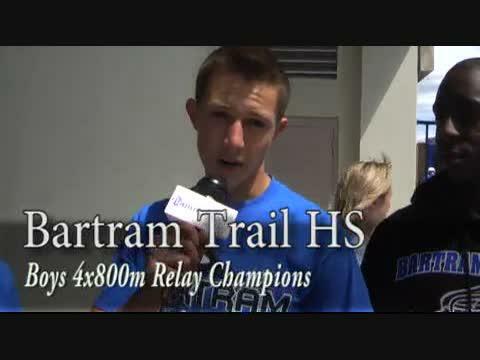 Bartram Trail won the boys 4x800 meter relay at the Pepsi Florida Relays. 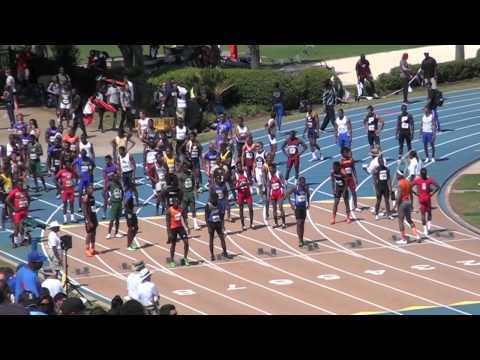 Hallandale HS won the boys 4x400 meter relay at the Pepsi Florida Relays. 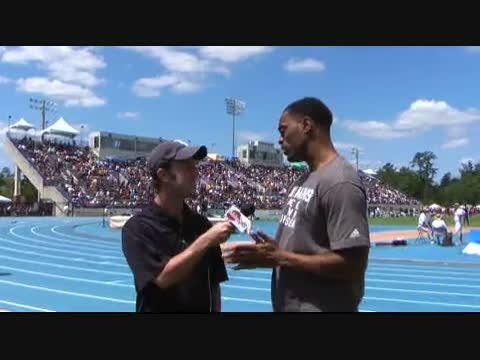 The Boyd Anderson duo finished first and second in the 100 meter dash at the Pepsi Florida Relays. 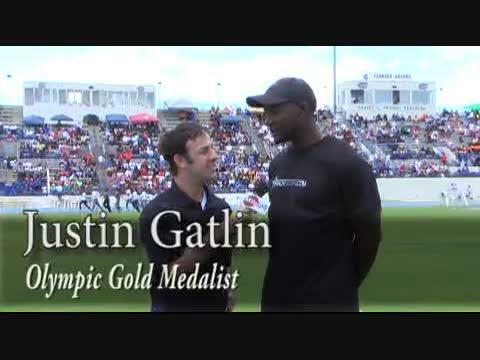 Olympic gold medalist Justin Gatlin talks our Todd Grasley about bouncing back in 2012, his goals for the year, and much more. 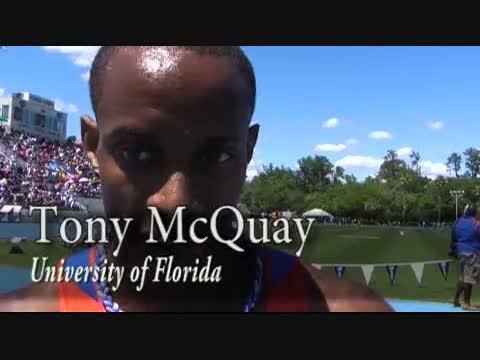 University of Florida star Tony McQuay won the mens 400 meters at the Pepsi Florida Relays. 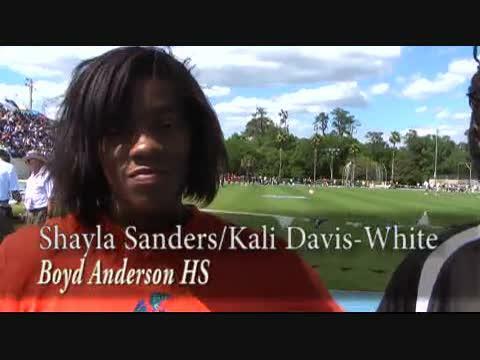 Boyd Anderson senior Tanisha Coppin finished in second place in the 800 at the Pepsi Florida Relays. 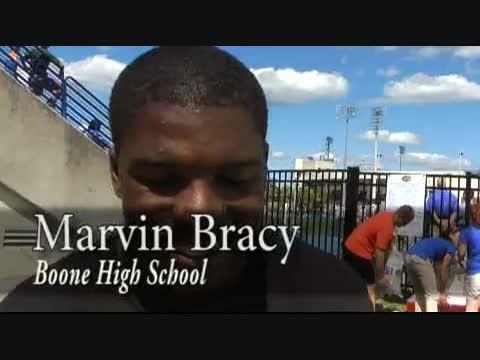 Boone senior Marvin Bracy the top seed in the boys 100 meter dash talks about his false start at the Pepsi Florida Relays and much more. 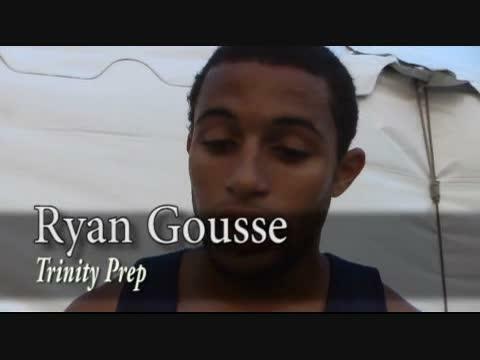 Trinity Prep senior Ryan Gousse edged out Winter Park's Billy Anguish to win the 1600 meter run at the Pepsi Florida Relays. 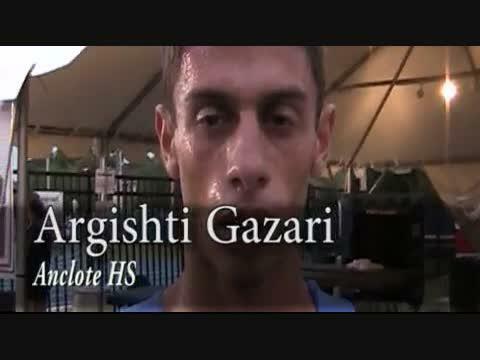 Anclote senior Argishti Gazari won the boys 3200m run at the Pepsi Florida Relays. 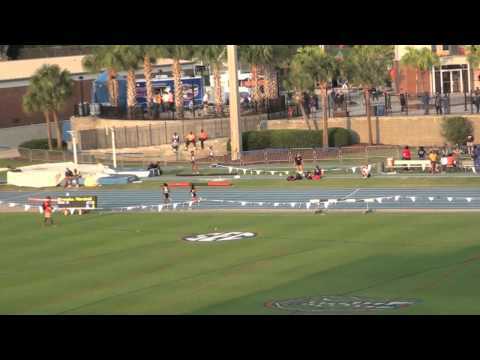 Our headquarters for all things Florida Relays 2012. Check out dozens of race videos, over 25 interviews, and thousands of photos! 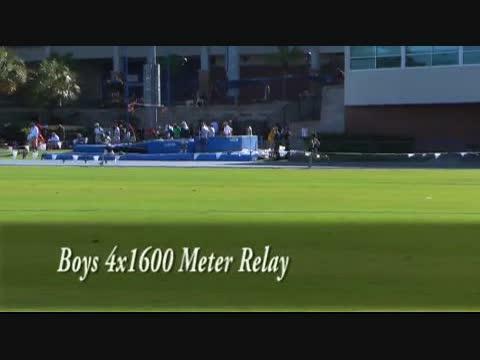 Saratoga Springs Coach Linda Kranick talks about her girls 4x1600 meter relay team and their record setting performance at the Pepsi Florida Relays. Saratoga Springs took the long trip down to Florida and took home gold in the 4x1600 meter relay at the Pepsi Florida Relays. 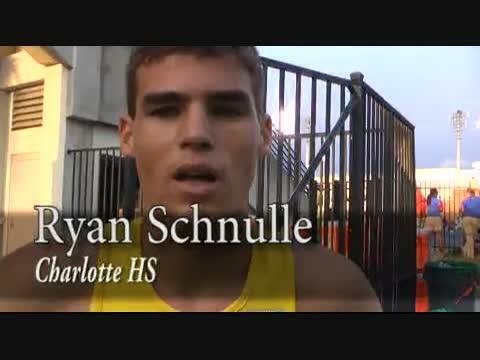 Charlotte senior and UF signee Ryan Schnulle finished second in the 800 meter run at the Pepsi Florida Relays. 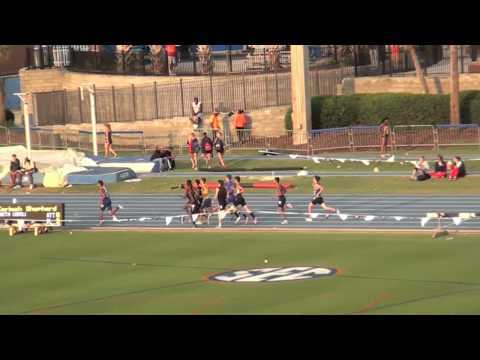 GAINESVILLE, FL – A second place effort by the McNeese State distance medley relay team of Alex Bruce-Littlewood, Torian Lindsey, Joshua Sawe and David Rooney led the Cowboys and the Cowgirls during the final day of the Florida Relays on Saturday. 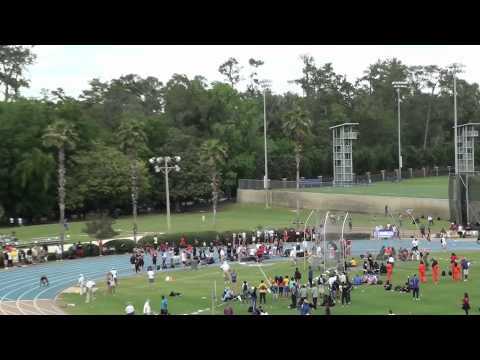 Holy Trinity freshman Julie Wollrath finished third in the girls 3200 meter run at the Pepsi Florida Relays. 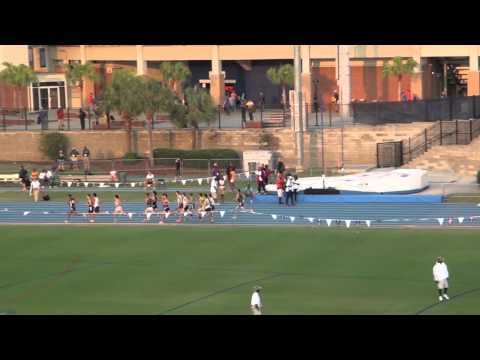 Mann's Laura Miller finished seventh in the invitational girls 3,200 at the Florida Relays Friday evening. 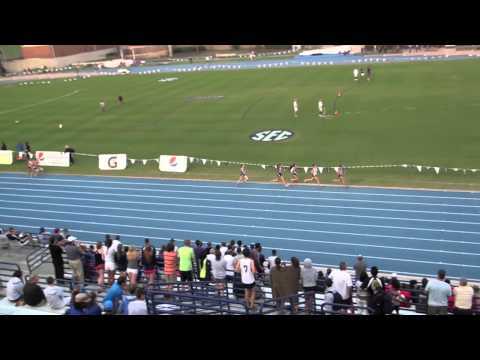 Belleview senior Anne-Marie Blaney won the girls 3200 meter run at the Pepsi Florida Relays. 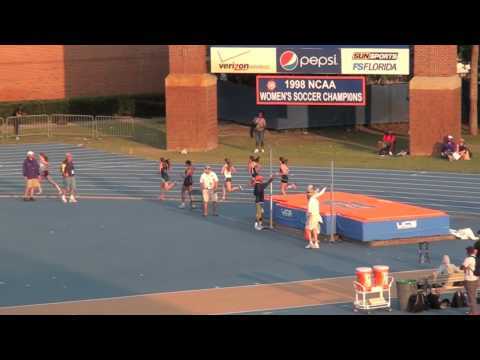 The University of Florida is set to host the 68th annual Florida Relays this Friday and Saturday, April 6-7, at Percy Beard Track in Gainesville. Here is a look what to watch for in this weekend's event. Travis Masters of tracknation.com talks about a new website he has launched that is a social network for runners.